This film was the grand conclusion of Marvel’s Phase one plan after successfully building up characters in various stand alone films. It culminated into a geek fantasy some could have only dreamed of; a strong, stellar ensemble cast including Robert Downey Jr., Scarlett Johansson, Chris Hemsworth and Chris Evans; firm fan favourites from within the marvel franchise including Clark Gregg’s Agent Coulson and Tom Hiddleston’s Loki, and to put the cherry on top of the cake – the man to orchestrate this Marvel juggernaut, none other than geek God himself Joss Whedon. This film single-handedly turned him from geek genius to household name, because of the far-reach the movies had. As I was re-watching it the other day, I came to the realisation that this film came out just before Kat and I started this blog. So let’s put this awful blunder to rest and get this review on the road! As I said above this film’s cast list speaks for itself in terms of star power: returning to their characters are RDJ, the two Chris’s (Hemsworth and Evans), Tom Hiddleston as our favourite villainous Asgardian Loki, Scarlet Johansson as the Black Widow, Stellan Skarsgård as Dr Selvig Samuel L. Jackson as Agent Fury, Gwyneth Paltrow as Pepper Potts and Clark Gregg as Coulson. Joining the ranks for this outing are Mark Ruffalo taking over from Edward Norton’s incarnation as Eric Banner and his giant green alter ego, Jeremy Renner as Hawkeye and Cobie Smoulders as Agent Hill. And each certainly gets their moment in the spotlight, with Whedon combining all the elements into a nice big cauldron pot of goodness, often combining his trademark wit alongside big action sequences. It takes about 20 minutes or so for the film to really kick into high gear – after the initial pre-titles sequence, we then take a round trip across all our Avengers, seeing them initially recruited and generally introducing them into the plot. Don’t get me wrong it’s all enjoyable but once this is out of the way, the film really finds its stride. Everything from the Helicarrier to Loki’s baiting of the Avengers, which further causes witty in-fighting amongst our heroes which is downright hilarious (“no hard feelings point break, you got a mean swing.”) However the catalyst for bringing this divided group together is the death of one of their own; Agent Coulson, sporting last year’s must have item – Loki’s spear. The death was a hard-hitting one, both on-screen and off as fans had taken the character of Coulson to their hearts after he was created especially for the screen. Of course now, Coulson lives in the TV series Agents of S.H.I.E.L.D, set to premiere on US in September but that’s beside the point. The event unites our Avengers and they set off to defeat Loki in an all out war on the streets of New York. The action sequences are brilliant, with a lot of special effects crammed in; two particular favourites include Banner’s “I’m always angry” comment and the one long tracking camera shot of each Avenger fighting in the battle, flowing beautifully and ending on possibly one of the most hilarious gags in the film as Hulk punches Thor out of camera shot and sniggers. In the end, even though it sees our heroes standing tall, leaves the team understandably changed forever, with the world also knowing of their existence. Now that over a year has passed since the film was released, we’ve learned a lot about what Marvel has planned for it’s aptly named ‘Phase two’ plan. It’s already released Iron Man 3, and they have another Thor and Captain America scheduled to be released within the next year. With Avengers 2 scheduled to be released in 2015, we learnt at this year’s comic con that the film will be called ‘Age of Ultron’, slotting another piece of the puzzle into place. All I know is, Avengers Assemble does not get any older the more times I watch it. The jokes are still funny, the writing and the performances are still fantastically brilliant and I think it may well have been my favourite film of 2012. Shawarma anyone? Stark: The Avengers. It’s what we call ourselves, sort of like a team – Earth’s mightiest heroes type thing. 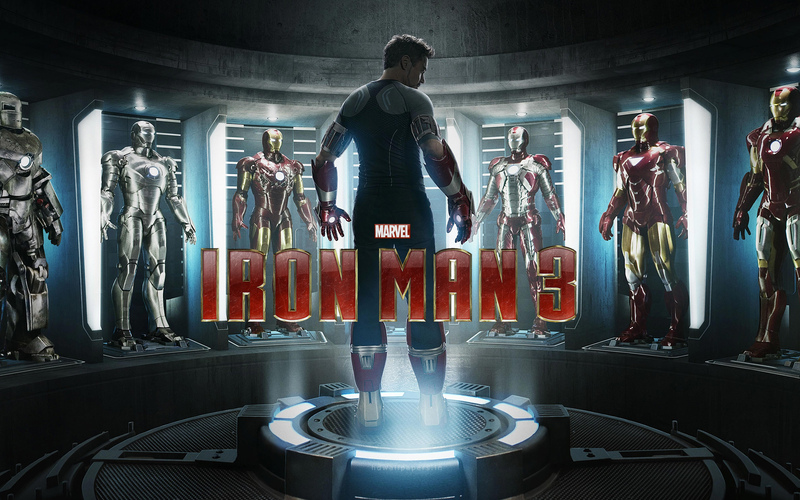 The inner geek in me could not contain her excitement for Iron Man 3, the official launch of Marvel’s Phase 2 plans which will ultimately lead up to Avengers 2 in 2015. In fact, I decided to book tickets to see the midnight showing of the film in order to be one of the first to see it. So Iron Man 3 is set after the events of Avengers, and it’s clear what happened in New York has had an effect on our favourite genius billionaire, Tony Stark. He’s suffering from anxiety attacks and PTSD, not sleeping and it’s affecting his relationship with Pepper (who has now fully moved in). Whereas Avengers was on an epic scale, director Shane Black, who takes the reins from Jon Favreau, brings it back being about the man rather than the suit. 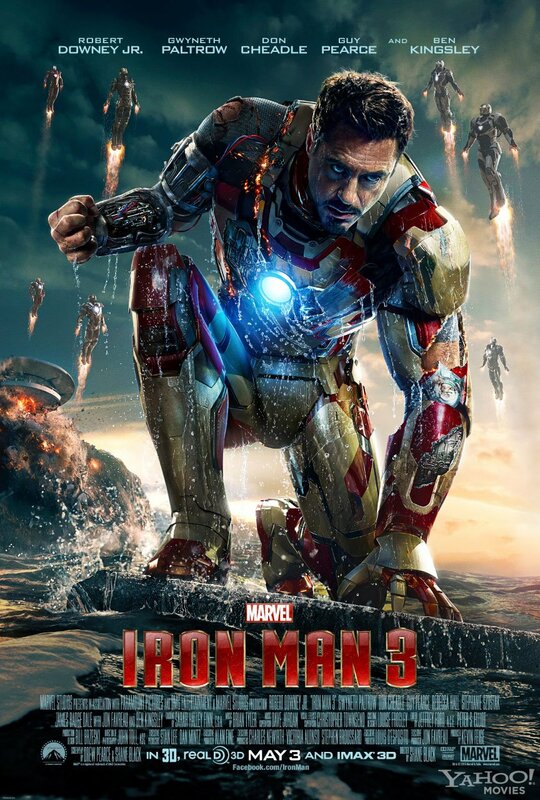 Iron Man 3 is personal, and shows a much more vulnerable side to Tony Stark – the man, rather than the superhero Iron Man. Robert Downey Jr., Gwyneth Paltrow and Don Cheadle are back and brought along Ben Kingsley, Rebecca Hall and Guy Pearce for the ride. Ben Kingsley as The Mandarin is brilliant – from the trailer, you could smell the villainy perturbing from him and his dulcet tones were enough to bring out goosebumps. In the film, he appeared to be a bigger than thou foe – for around half of the film. This was when the big twist was revealed and Kingsley’s true role was revealed – he plays Trevor from Camden actor who was hired to play the Mandarin. It was in fact a gimmick devised by the true evil bad guy and Ben Kingsley’s role was a more comic one. I must say I loved this twist – it was something you never see coming and Kingsley is fantastic as the bumbling Trevor. Robert Downey Jr. is as great as ever, and really does bring Tony Stark to a more vulnerable and emotional place. His and Gwyneth Paltrow’s chemistry is great to watch as well. 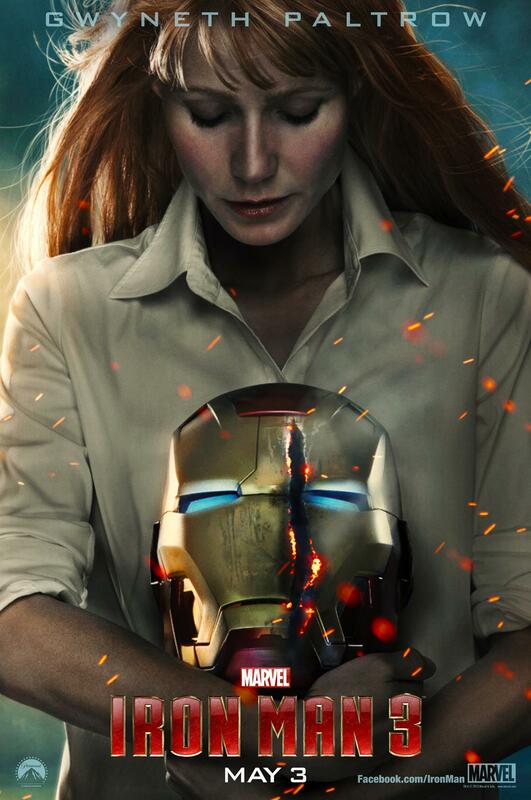 Paltrow’s Pepper Potts also gets a lot more to do in this movie (she even gets to put on the Iron Man suit) and she does it really well. The set pieces are great, particularly the attack on the house. The comedic flair of the script is certainly a high point of this film – the one-liners are delivered with brilliant and are certainly on a par with Avengers.. The ending of the movie and the end credits felt very much like a bookmark and a chapter being closed. The removal of the shard around his heart and the destruction of all the Iron Man suits feels like an ending. 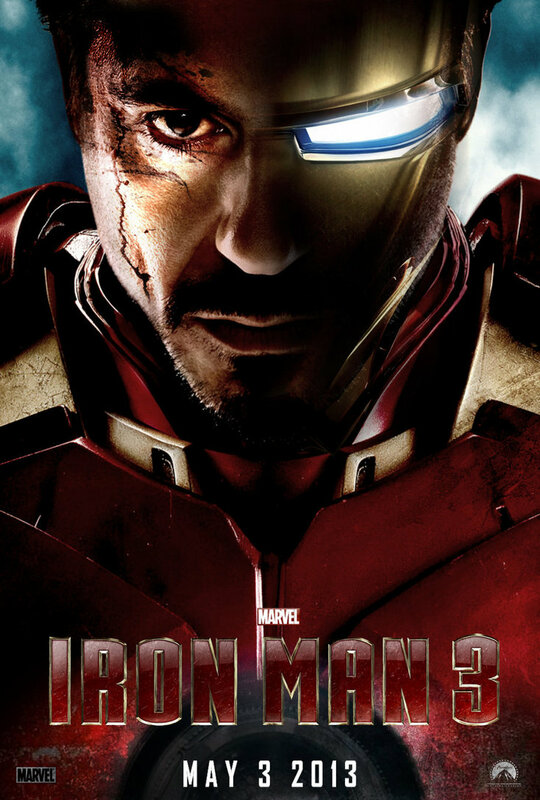 I left the cinema with the feeling of completion and settled with the thought that if they do not do another stand alone Iron Man film then this would be a very fitting ending to the series. However, at the very end after the end credit scene (which I’ll get to in a second) it did say – “Tony Stark will return.” In what capacity, we’re still not sure and at this point we’re not even sure if Tony Stark will be in the form of Robert Downey Jr. as his contract has ended with Marvel. 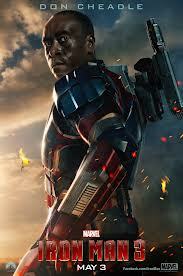 In recent interviews he has said he would probably be back for Avengers 2, but rumour has it contract negotiations for the film have become heated, with the main cast asking for more money. The time came for the infamous end credits scene – myself and at least half the cinema stayed until the bitter end to watch and wait. I’m not sure what I expected, but I liked it – It was simple, light-hearted and featured Mark Ruffalo in a cameo. The scene capitalised on their banter and bromance that they developed in Avengers and even though it didn’t give anything away about what may be planned for Avengers 2, it still was a great little extra moment. It felt like a lot was packed into this film and the storyline but it worked and it flowed well. I think like Kat I fell in love with Robert Downey Jr. just a little bit more and it was a fantastic start to Marvel’s phase 2 campaign. The anticipation of the third installment of the Iron Man franchise was killing me, seeing the trailer alone got my adrenaline pumping, and so by the time I was sat in my seat I could hardly contain the squeals coming out of my mouth. The film opens with a flashback and I won’t lie, my heart sank. Flashbacks, as we’ve seen before tend to be a sign that something is going wrong in the ideas office (*cough* X-men). This immediately worried me but just as quickly as we went back to 1999, we were back to present day and my anxiety subsided. The film itself is packed full of stunning visual effects, a villain who makes your squirm and one liners which have you creasing nonstop. I must mention the one liners first as I can’t wait to talk about them. FANTASTIC. So many, so subtle, so funny. Drew Pearce and Shane Black have done such a good job on the screen play, RDJ’s lines are hilarious, and alongside the quick wit of Paltrow, they have the audience eating out of the palms of their hands. (Later I will compose a list of my favorite). What is most striking about this film is that we see a new side to Tony Stark, he is weak and vulnerable; very unlike the always confident and cocky rich guy we know from the previous two episodes. We also see him without his suit to hide behind for the vast majority of the film, again something we have not seen before. The film is an insight into Stark’s mind, his intelligence and his struggles; currently suffering from panic attacks and PTSD you are made to really feel for the character. We see him interact with a range of different characters, including a young boy – who it’s obvious he sees a lot of himself in; once again opening a once closed door to the personal side of Tony Stark. The film offers us a new light on a character we all already love. Tony’s girlfriend, the innocent Pepper Potts (Gwyenth Paltrow) plays a much bigger role this time round and I couldn’t help falling in love with their finally established relationship. Paltrow and Downey’s on screen chemistry is magnificent and I really believed that they were together; their petty arguments over giant stuffed animals were hilariously cute and made me fall for them even more. Unfortunately (as is probably expected), as the only thing Tony cares about, Pepper becomes the latest of Aldrich Killian (IM3’s villain) victims to try and get Tony to work with him and fix the flaws with his Extremis. We see Tony Stark crumble as his house becomes under attack and Pepper’s life is endangered, without a moment’s hesitation, Tony calls his suit and suits up Pepper in order to protect her! Although the comedy value of Pepper stumbling around in the Iron Man suit is quite enjoyable, it does not distract from the fact Tony’s house is falling from the Malibu cliff and his life is quickly flashing before his eyes. Later in the film we see Pepper being captured by Tony’s antagonist, and this is part of the film which slightly disappointed me. Why did they have to infect Pepper with superhuman abilities? I felt as though Tony didn’t even have a chance to save her. But the worst moment where I actually filled up was seeing Tony make a promise to Pepper that if she let go he would catch her; only to miss her and see her fall into the fiery pit below. RDJ’s acting in this scene is sensational; he channels Tony’s emotions to a T and had the whole audience holding their breath. Despite the split second of Pepper falling, the moment she hit the flames I remembered she had been infected and would survives the burning heat, this was slightly disappointing, mainly because Pepper’s death would have been such a huge twist, and was suddenly rules out without even having chance to panic that she might not make it. On top of this, we also see her fight ‘her own battle’ and save Tony’s life which again I felt was a bit weird – I guess I’m just traditional when it comes to the ‘damsel in distress needs to be saved by a superhero’ scenario. 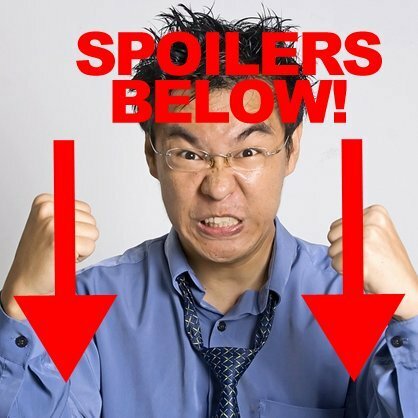 The finale scene of the main film shows both Tony and Pepper being treated for their non-human attributes, Pepper is cured and Tony has his reactor removed as well as destroying all of his Iron Man suits, the question lies – will Iron Man return? Despite a post-credit scene showing Tony pouring his heart out in a shrink like fashion to Bruce Banner in a location I can only assume has something to do with the Avengers, my fear is no, but I really hope I’m wrong.